Changing leaves and cooler weather make fall an appealing time to be outdoors. 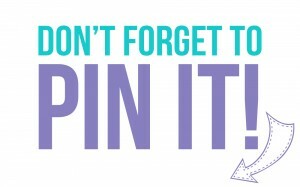 It’s also a great time to make some outdoor improvements to your house that can enhance your home’s curb appeal. 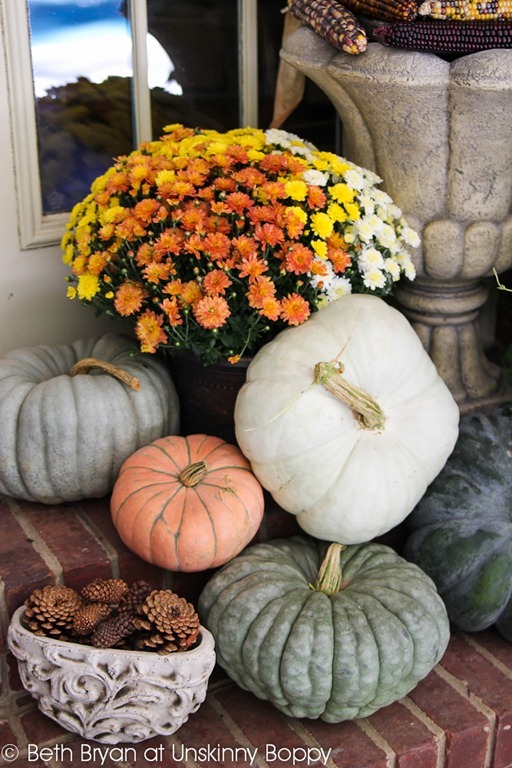 Whether you want a simple fix or a more intensive project, I have some fun ideas to add curb appeal to your home this fall. Every year we go to battle with the falling leaves. Back when we lived on 3 acres of hardwoods, we usually lost that battle. The picture above was my yard at our previous house. One year I nearly surfed all the way down that hill on my riding lawnmower with a giant pile of slippery leaves underneath the wheels. It was terrifying. While the sight of changing leaves on the trees is beautiful, seeing those leaves scattered across your lawn can be an eyesore. To instantly improve the curb appeal of your home, make fall lawn maintenance a priority. In addition to keeping the leaves at bay, consider refreshing the mulch in your flower beds and trimming dead or browned stems from bushes and other foliage. To add a pop of color to your yard, plant a selection of fall flowers, like mums, in your flower garden or in pots on your front porch. 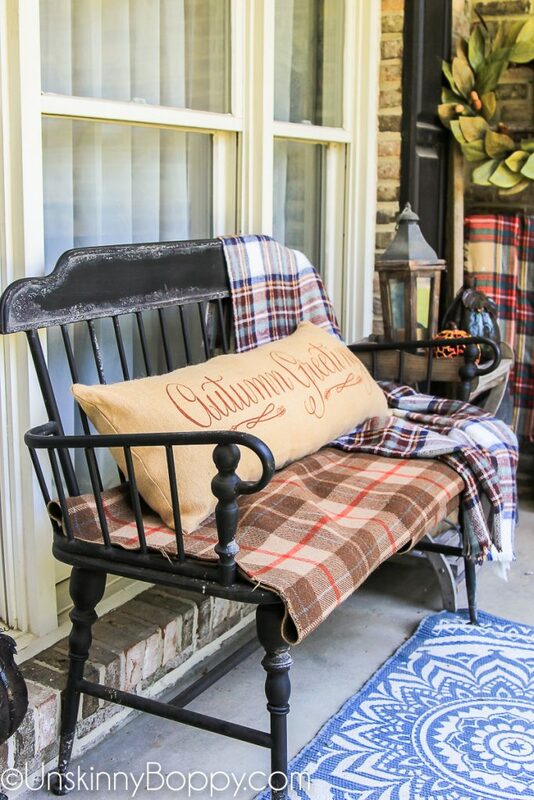 The entrance to your home should be a focal point, no matter what season it is. 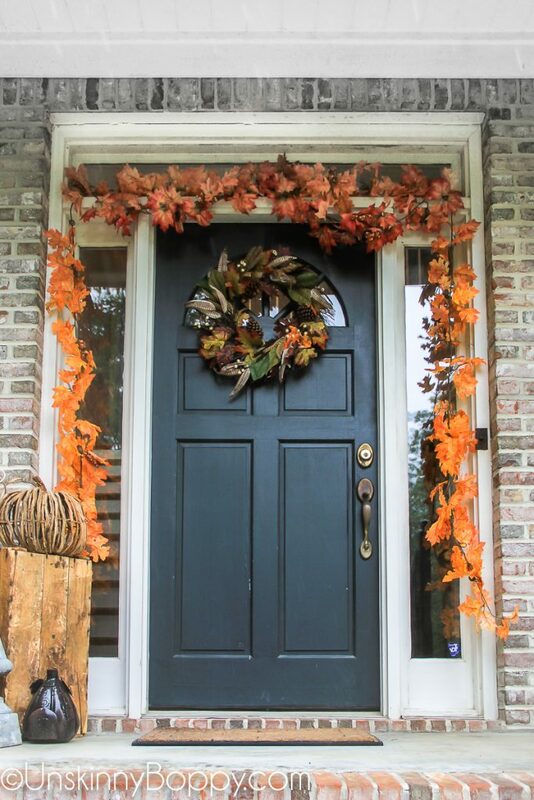 But the fall is a great time to give your front door a face lift. A fresh coat of paint can make a huge difference in the appearance of your home. For a simpler change, add a wreath of fall foliage and flowers for a welcoming touch that will surely make your door stand out this fall. 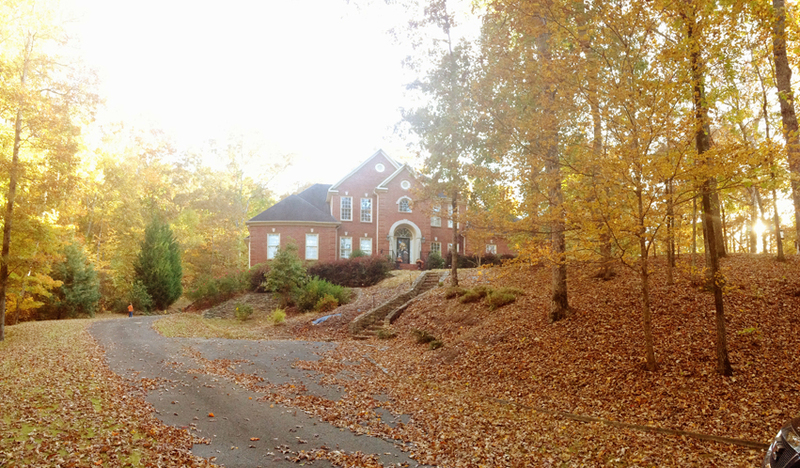 As the leaves begin to fall from the trees surrounding your home, the exterior becomes more exposed. Make it stand out by being sure everything is clean and orderly before the winter weather makes it hard to work outdoors. Clearing the gutters of leaves and debris will not only make your home look nicer, it will also assist in keeping rainwater from collecting around your home’s perimeter. Pressure wash the siding and scrub the windows to remove dirt and buildup from the summer months. Touching up the paint around the windows and siding will also make a huge impact on your home’s curb appeal. Since the fall days are shorter than those in the summer, outdoor lighting becomes more important. In addition to placing light fixtures in your porch areas, patio lighting and walkway lights are wonderful ways to draw attention to your home and make it more inviting. 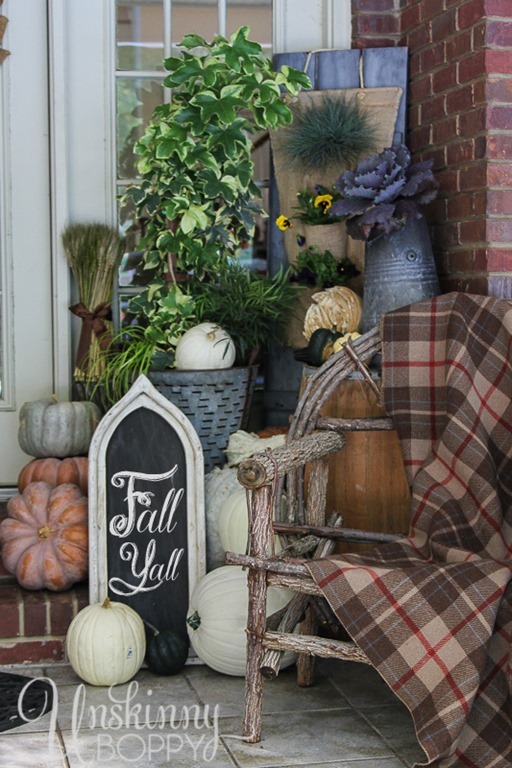 While some porch décor can enhance the look of your home’s exterior, too many fall decorations can actually reduce the curb appeal of your house. 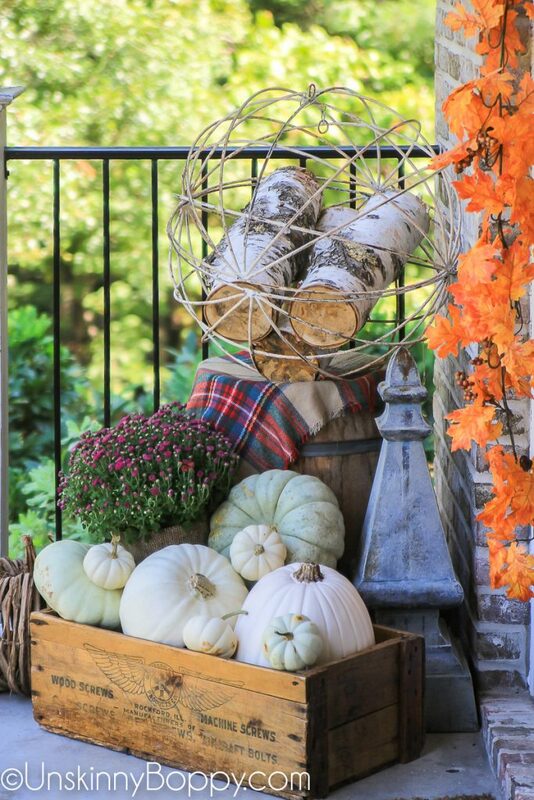 Simple décor, like a selection of pumpkins, a few potted plants, and a rustic welcome sign, can add charm to your exterior without adding distracting clutter.